Our CAAHEP accredited program offers you the flexibility of online learning, with three on-campus visits. Labouré College is happy to announce that its Intraoperative Neuromonitoring certificate is now accredited by CAAHEP. A respected member of the operating team, the neuromonitorist is a patient’s guardian angel in the operating room. To better understand the history of IONM and what a day in the life of a neuromonitorist looks like, read our article Angels in the OR. What does an Intraoperative Neuromonitorist do? While a patient is under anesthesia and the doctor is performing surgery, the intraoperative neuromonitorist is monitoring the patient to ensure their safety. Through electrical potentials emitted from the patient’s nervous system, the neuromonitorist can determine if the patient is losing oxygen to the brain, or about to have a stroke, and immediately alert the surgeon. In a situation where every second counts, the presence of a neuromonitorist during surgery has become invaluable and is increasing the demand for certified IONM professionals in the operating room. 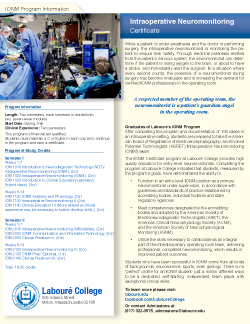 After completing this program and documentation of 100 cases in an intraoperative setting, students are prepared to take the American Board of Registration of Electroencephalographic and Evoked Potential Technologists (ABRET) Intraoperative Neuromonitoring (CNIM) exam. Function in an entry-level IONM position as a primary monitorist under supervision, in accordance with guidelines and standards of practice established by accrediting bodies, individual facilities and state regulatory agencies. Meet competencies designated by the accrediting bodies and adopted by the American Society of Electroneurodiagnostic Technologists (ASET), the American Clinical Neurophysiology Society (ACNS), and the American Society of Neurophysiological Monitoring (ASNM). Utilize the skills necessary to collaborate as an integral part of the interdisciplinary operating room team, delivering professional, competent neuromonitoring, which results in improved patient outcomes. Who is right for IONM? Intraoperative neuromonitoring is a great fit for a unique kind of student. 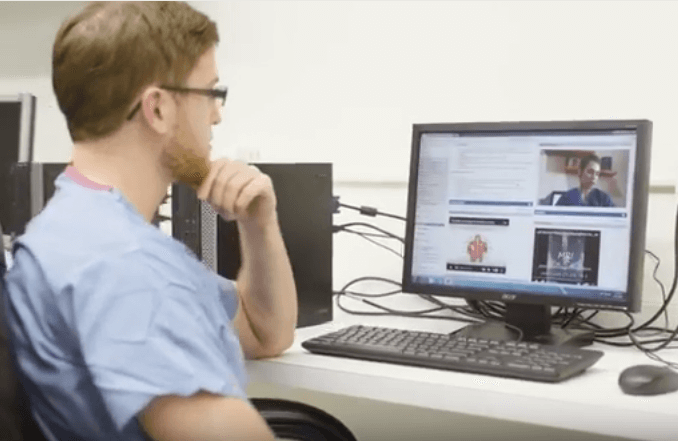 Utilizing both direct patient care and extraordinary critical thinking skills, students in IONM not only have to be experts in Neuroanatomy and neurodiagnostic technology, they must also possess exemplary communication skills. 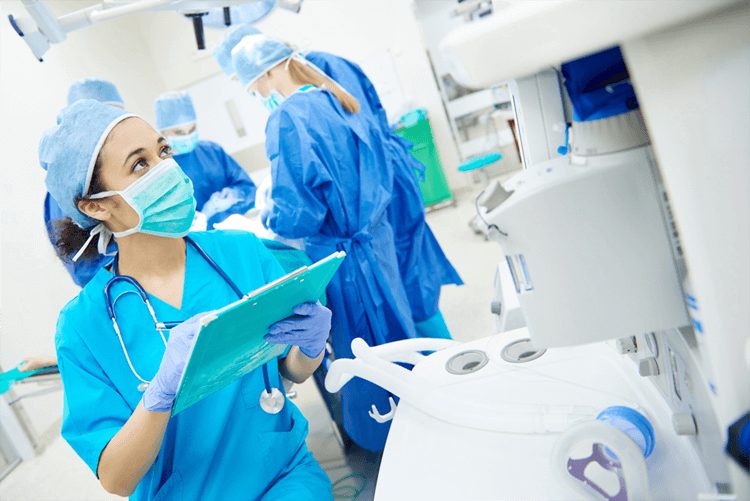 As an intraoperative neuromonitorist, you need to feel comfortable talking with patients about the procedure and also working with a diverse team in the operating room. Advocating for the patient during surgery is just as crucial as interpreting the delicate world of the brain and central nervous system. Students who have been successful in IONM come from all kinds of backgrounds- neuroscience, sports, even geology. There is no “perfect” profile for an IONM student- just a million different ways to be a dedicated, self-starting, independent, team player with exceptional clinical skills. Yes. This is a new and emerging field. For safety precautions, more health insurance companies are beginning to demand a qualified neuromonitorist to be present during operations. 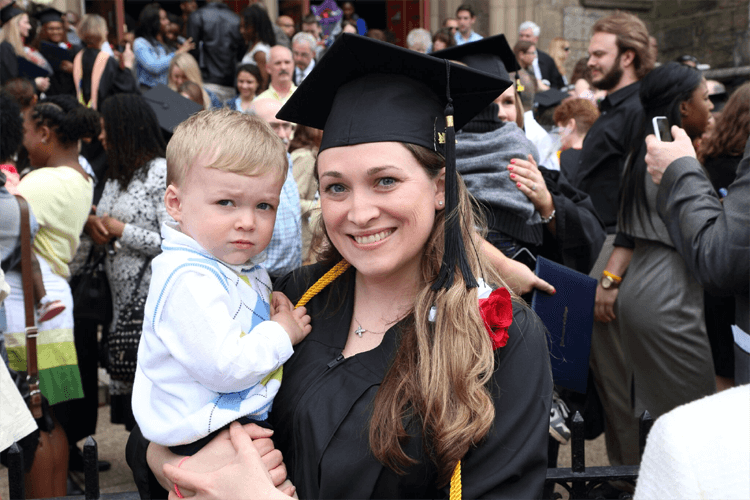 Laboure’s program is one of the first in the country and its graduates will be among the first group of college-educated, certified IONM specialists. With few opportunities for education in IONM, there is a push by hospitals, surgeons, and professional organizations to further standardize its practice and teaching. The demand for competent and certified neuromonitorists is huge and right now there are very few of them out there. Even more pressing is the need for high-quality, accredited programs to educate the next wave of IONM graduates. Labouré College is excited to be at the forefront of IONM education, with faculty and clinical instructors who are experts in the field with years of experience and research behind them. The program is two semesters. Most of your learning will be done online. Students must travel to the College’s Milton, Massachusetts campus on three Saturdays during the program. Students also complete 16 hours per week of clinical, near their home, for the duration of the program. What kind of procedures does a neuromonitorist perform? A neuromonitorist performs a variety of specialized recordings, including electroencephalograms (EEG), evoked potentials (SSEP, BAEP, MEP), electromyography (EMG), cranial nerve (CN live and triggered, SEMG/TEMG) and peripheral nerve (PN) monitoring techniques.